2 + 0 + 0 + 9 = 11, a master number, and we sure have all been learning about mastery in some form of another, haven't we?! The numerology of last year tells the tale of a year of learning to live from a place of love. I'm here to share some of the highlights of the year scented, unscented and within other realms of beauty and art. This entry is part of another collective Blogorama with several other blogs participating, please see the links at the end of this post. 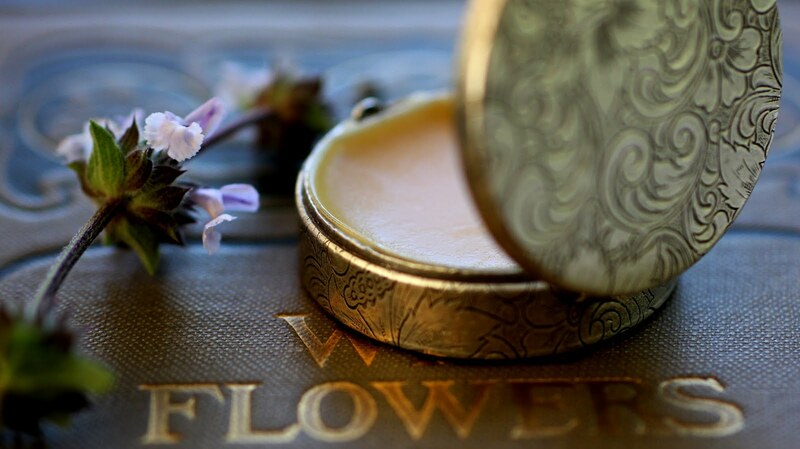 My work and passion are as a botanical perfume artist and it is within these three realms that I will focus my Best of the Best 2009 list....botanical, perfume and art. 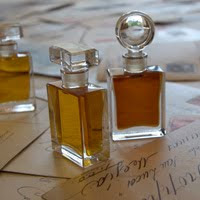 BEST vintage perfume in my collection Bal a Versailles by Jean Deprez. My dear friend Aztechan sent me a box of her grandmothers perfumes. In the box was quite an assortment of vintage perfumes including two bottles of Bal a Versailles. I fell in love with it immediately! 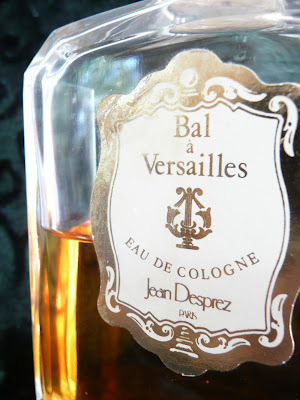 Here is a very fine review of Bal a Versailles by Beth at Perfume Smellin Things. BEST new aromatic ingredient to grace my studio this year is a stunning Cistus that I have just received from France. 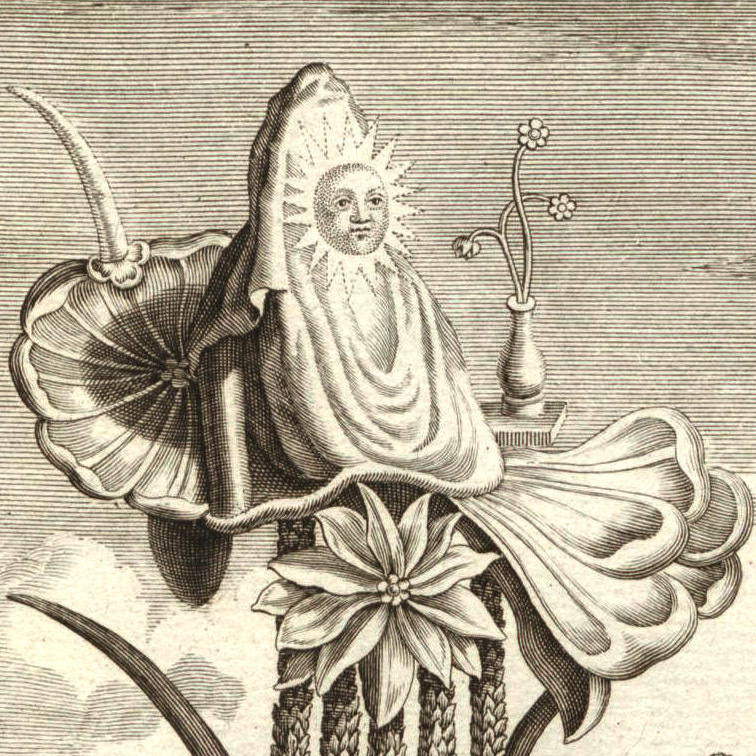 Although this new shipment of botanical gems has many savory treats I must say the Cistus really captured my heart. The aroma is much closer to Labdanum than the Cistus essential oil I normally work with. I'm not sure what I will be using it in yet, we shall see what percolates to the surface, so many scent possibilities on the horizon. It may work nicely in the liquid version of Cimbalom, Page 47 or perhaps GreenWitch. BEST new favorite fashion designer is Anna Sui. 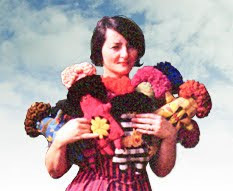 She came into my consciousness when my daughter's grandmother, Marilyn Neuhart, told me that Anna had become a fan of her handmade dolls from the 60's. Anna's Spring 2009 line was influenced by Marilyn's dolls. To the left is a photo of Marilyn with her dolls. 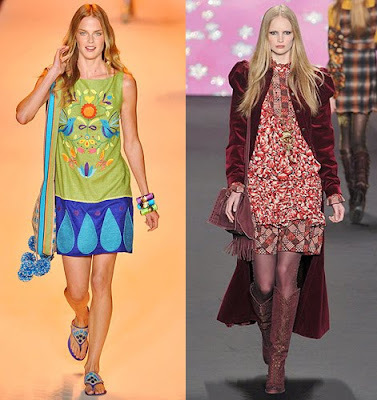 Below are a few photos of some of my favorite selections from the Anna Sui 2009 Spring and Autumn collection. I'm loving the way she pairs different fabrics and textures. Her whimsical elements combined with a streampunk quality is also really appealing. BEST documentary is The Real Dirt on Farmer John. When Greg told me he had a film for us to watch by that title I was totally uninterested, thinking it had something to do with Farmer John as in breakfast sausage. Boy, was I surprised. For me this film is a sign-post reminding me of why what I do as a botanical perfume artist and California native plant lover is so very important and intertwined with the fabric of life. BEST Christmas gift this year was given to me by my brother in-law Andrew. I am not sure what the name of the contraption he gave me is. I am sorry I have not shot a photo of it for you all. It's a lab equipment item that comes from his work as a photographer. Since he has gone digital now and no longer has a need for it he thought of me. I'm thrilled and will be putting it to very good use. I really dig lab equipment, especially when its vintage and or antique! 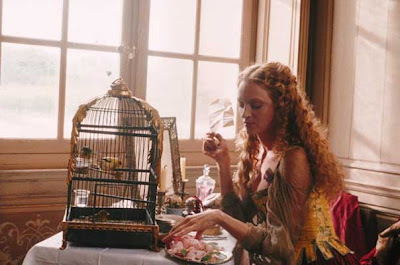 BEST older film newly re-watched is Vatel, simply sublime in beauty. Like the Farmer John film it is a another Sign-post. In this case, the importance of extra ordinary beauty. BEST new film is really tough, mostly because there is much I have not seen as of yet. Where the Wild Things Are just might be my number one pick. I also really enjoyed StarTrek and Avatar pulls my heart strings like no other film this year. 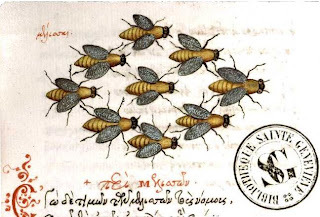 BEST new obsession and network are the bees and my local Bee Human, Backward Beekeepers group. BEST new spice mix is Zahtar from Israel. My dear friend Peleg shared this delight with us when he came here for dinner one night. We are loving it, especially with good olive oil and bread. BEST discovery has been Etsy. I joined this handmade community last year as an alternate while I redid my website to add the solid perfumes. I had no idea that I would find a loyal and devoted fan base of my perfumes, meet so many new artists and friends and be exposed to some very good media sources. I am super grateful to everyone who is part of the vibrant community on Etsy. 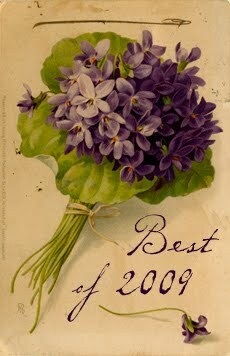 The Violet Posy image which opens this post is an old postcard that belonged to my Great Grandmother. I did a little photoshop work to it by removing some of the original script and adding the title. Three cheers for etsy! I'm so glad you found a another spot to introduce people to your amazing perfumes Roxana. I am dying over that Vintage Bal.......Gorgeous as are you and all of the rest of you picks!!!!!!! We can't wait to see you two in the New Year! 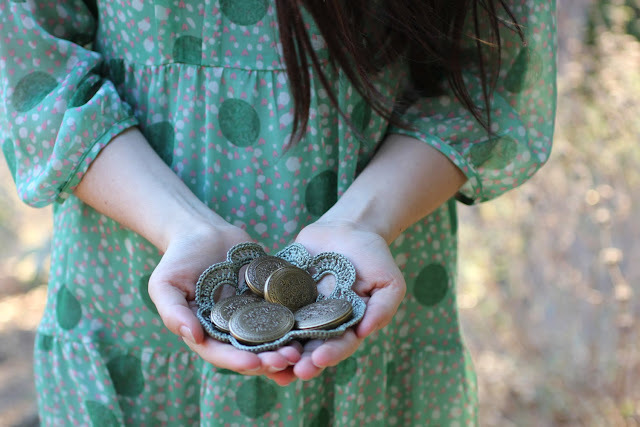 Trish, three cheers for the community devoted to the handmade indeed...and to another fabulous year! Beth! Yes, there is the bottle, I'm curious how much of a difference there is between the EdP and the perfume extrait. Since you are the expert I look forward to your observations...and giving you a hug in the New Year.